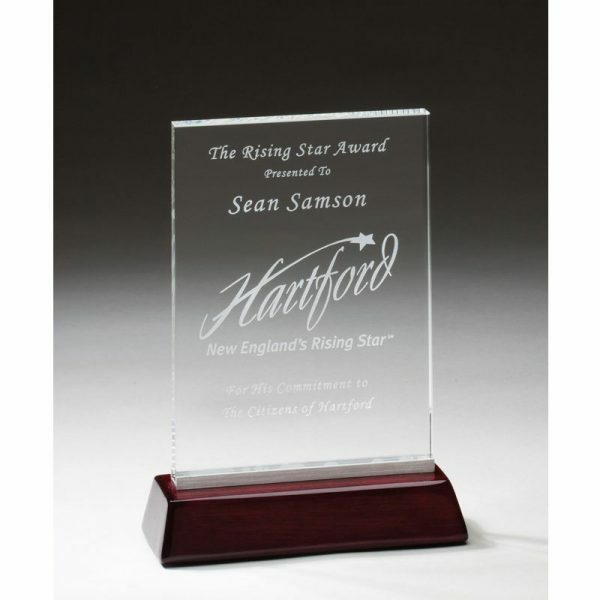 Thick clear crystal mounted on metal and rosewood piano finish base. 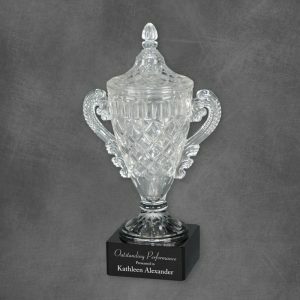 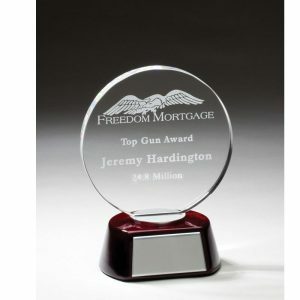 Your award recognition message will be clearly displayed on this glittering crystal glass round to project stunning record of achievement. 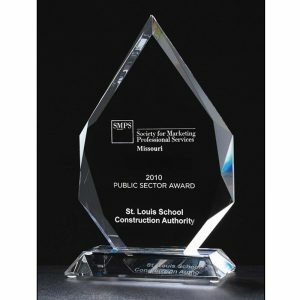 Our professional graphics department will lay out your message as an awarding set up and send you a digital art proof. 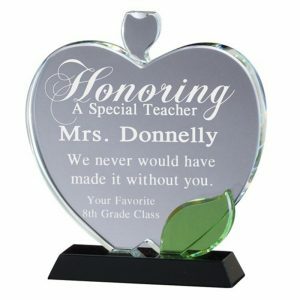 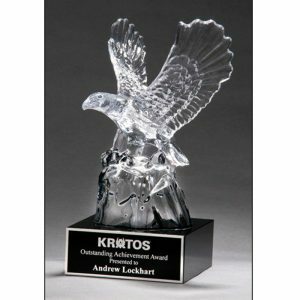 After your art approval, we’ll engrave and assemble your awards and ship them to you freight free anywhere in the U.S.